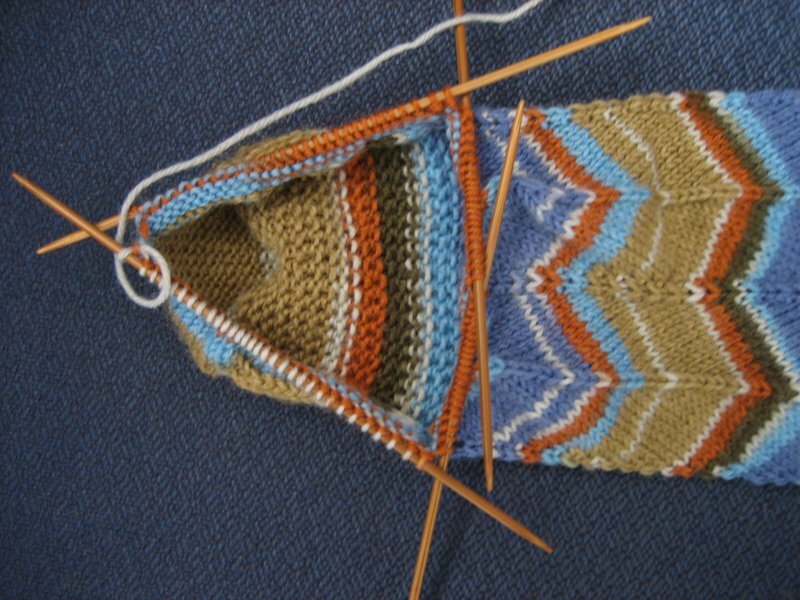 The Knitting Pirate » In Which the Pirate Knits On. « In Which the Pirate Makes Progress. In Which the Pirate Knits On. There are two occasions when it is necessary for me to work on a traveling sock at home - turning the heel and grafting the toe. Now that the heel is turned on this one, it's gone back in the bag to await the next bit of travel - which is Thursday, so it won't have to wait too long. I think I'm going to finish this pair before going back and knitting the second Pomatomus. Then I have so many ideas and plans for socks... good thing I have a whole set of aluminum sock needles in addition to these trusty bamboo size 1s! This scarf, on the other hand, is always going to be a project which I'll only work on at home. The further I get, the faster and easier it goes... but I wouldn't want to mess this one up when I'm not in a place that I could just put it down and calmly walk away from it. I still don't know how long to make it, or how to wear it, but I like how it looks so far! This entry was posted on Monday, July 2nd, 2007 at 17:10 and is filed under jaywalker, lace, ostrich plumes, sock. You can follow any responses to this entry through the RSS 2.0 feed. Both comments and pings are currently closed. How's the Morehouse Merino laceweight for working with? Pleasing to touch? The scarf looks absolutely incredible! 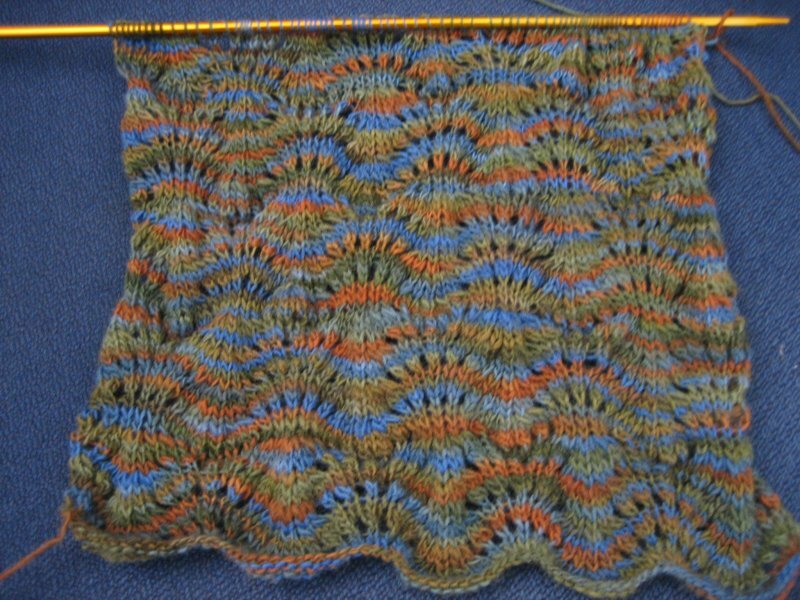 That varigated yarn looks so gorgeous with the stitch pattern. Beautiful work!